Megan Burgess is a certified independent raw diet planner and the creator of Raw Fed and Furry, a raw diet education site. 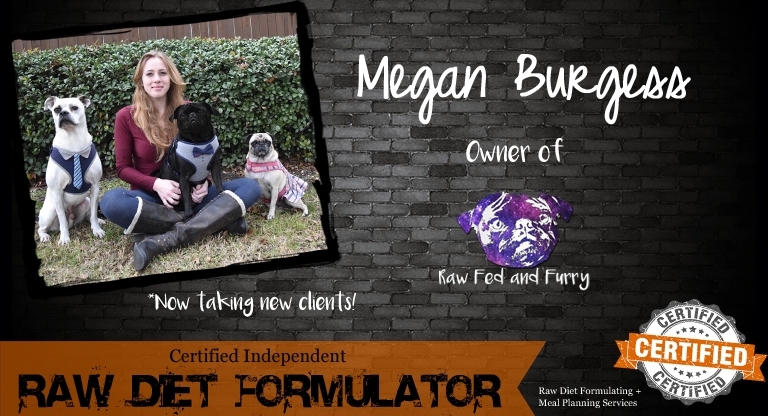 She has a lifelong background in animal care and a solid grasp on raw nutrition for dogs; Megan dedicates her time to helping owners make healthful nutrition choices for their dogs. She guides owners towards real foods that help round out a dog’s daily diet in place of synthetic supplements, helping dogs eat what they’re meant to eat. 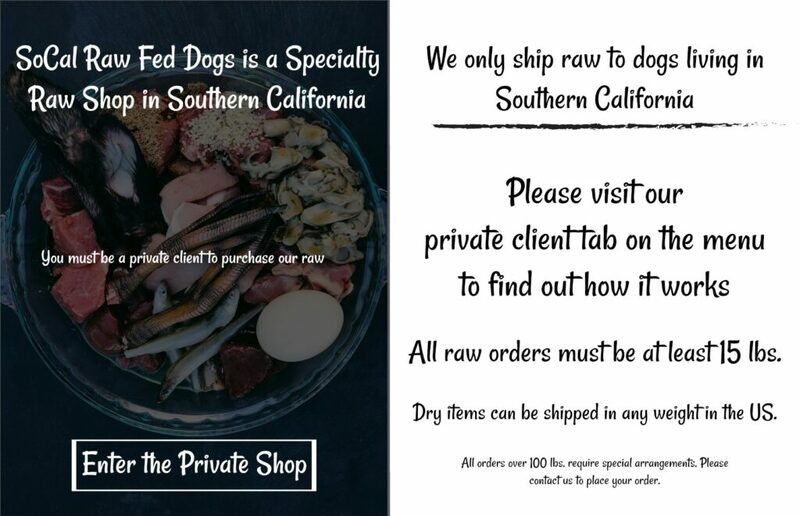 Megan is currently the only outside person SoCal Raw Fed Dogs subcontracts with for diet formulation and meal plans. We’ve worked together for the past year and a half feeding one dog in front of us at a time! If you’re interested in working with Megan you may click here to get started.